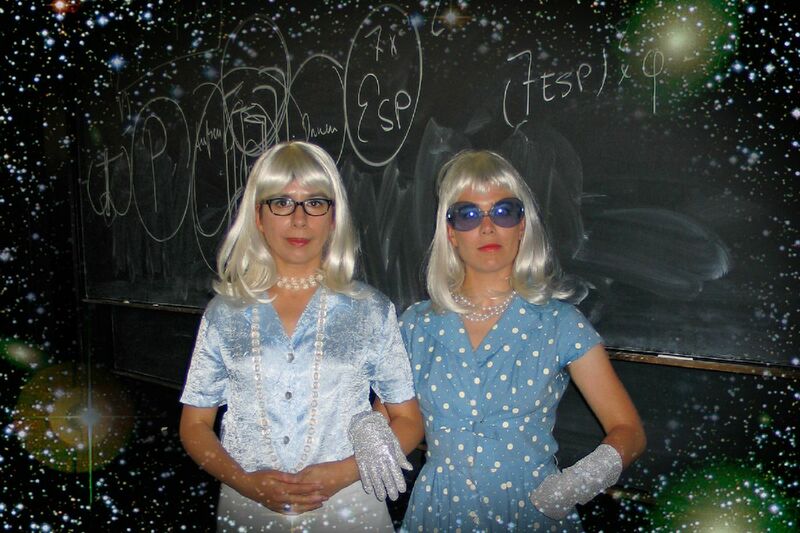 A lecture-performance on cosmology, particle physics, subjectivity and the human compulsion to research. I developed this lecture for the First International Scientific Congress of Queens, which took place in 2005 at Hamburg University. 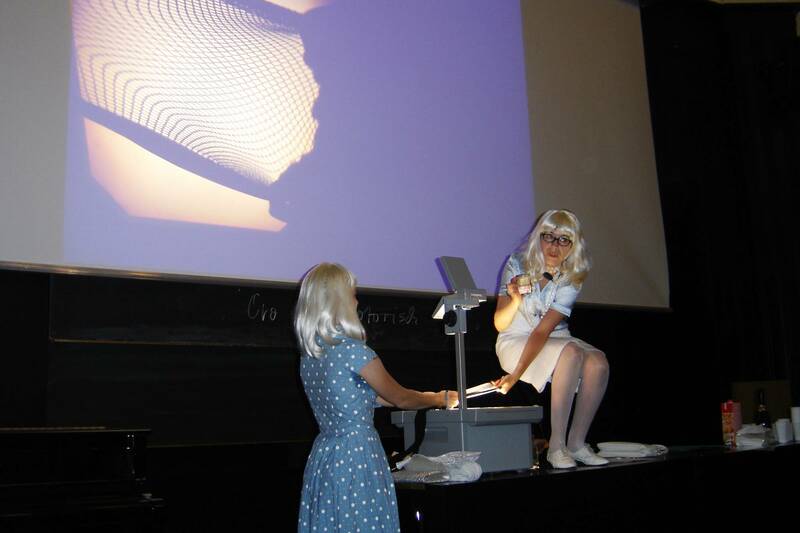 The congress was organized by academics and artists who define themselves also as (Drag) Queens, and aimed to enrich the sciences with both elegance and imaginative exaggeration. 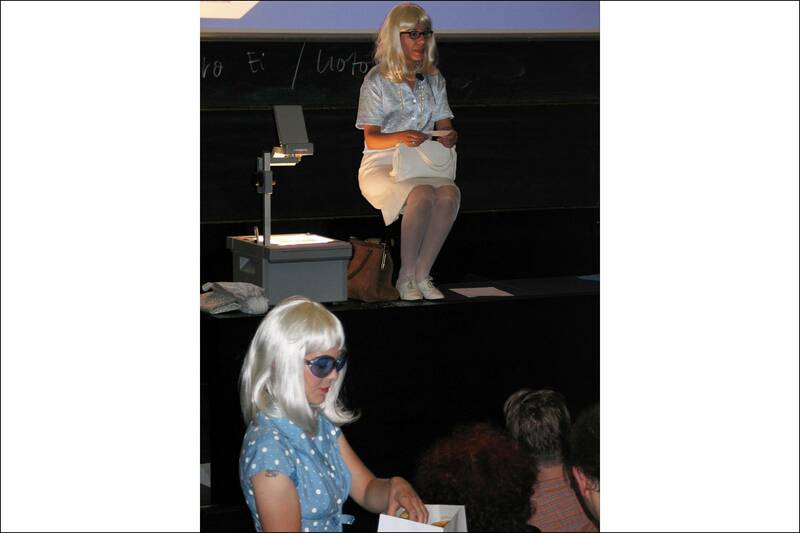 For this lecture I invented a new persona for myself: Prof. Dr. Adele Weiß, an emeritus professor. My colleague Jim Osthaarchic turned into Adele’s assistant Jasmin and accompanied the text with gestures. I chose cosmology as my subject because of my personal interest in natural sciences and my fascination with the passionate human compulsion to research. In cosmology this passion reaches a climax. 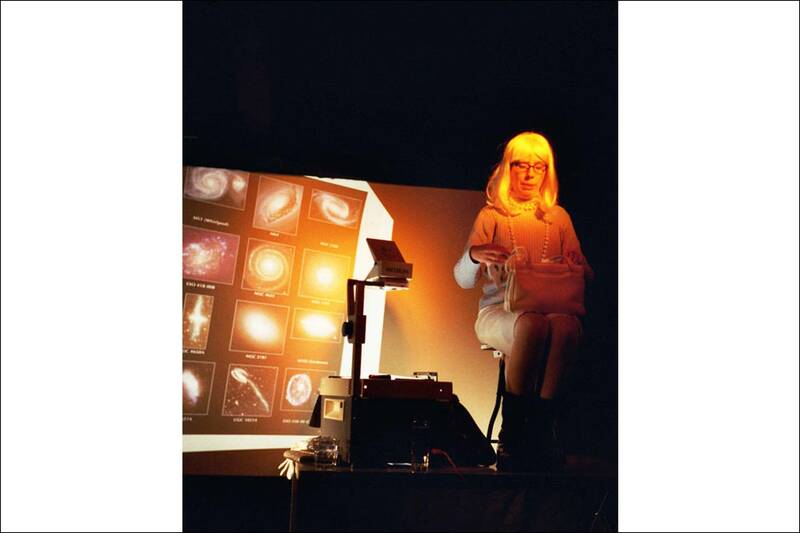 Contexts and sequences of astrophysical and other world-embracing phenomena are described and interpreted by means of spoken text, through the contents of numerous ladies’ handbags, and via projections and accompanying gestures and poses. The Big Bang, protostars, dark matter, hadrons, starburst galaxies, the first cosmic milliseconds, parallel universes… What is that? How to curve spacetime? How is all this related? Is there a border between inner and outer space? Is science a projection of our inner world on the outside? "According to the current state of research, in the beginning was a point. An infinitely small and hot point in which the space, matter and energy of all the universe – so, basically everything – was concentrated. Something like a ladies’ handbag and its contents."